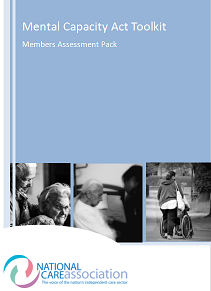 Mental Capacity Act (updated) - The assessment pack has been put together to help you assess the Mental Capacity of your service users if you think that they may lack mental capacity and assist you to comply with the Mental Capacity Act 2005, which came fully into force on 1st October 2007. The Mental Capacity Act Code of Practice is a very detailed and comprehensive book which you are required by law to take into account when making decisions relating to mental capacity. 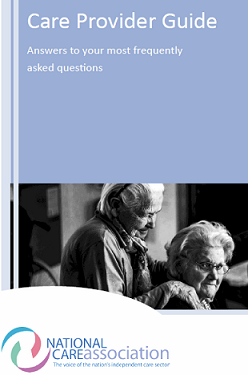 Care Provider Guide (new 2018) - A source of useful information, reference guide and answers to your most frequently asked questions. An invaluable tool for care sector managers and owners. Also includes our Business Planning Guide including a guide and template, providing a structure for your business plan with finance and optional budget sheets. 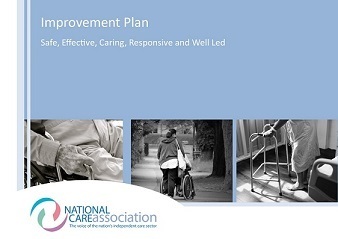 These toolkits are free to all members, please contact info@nationalcareassociation.org.uk to request your copy.